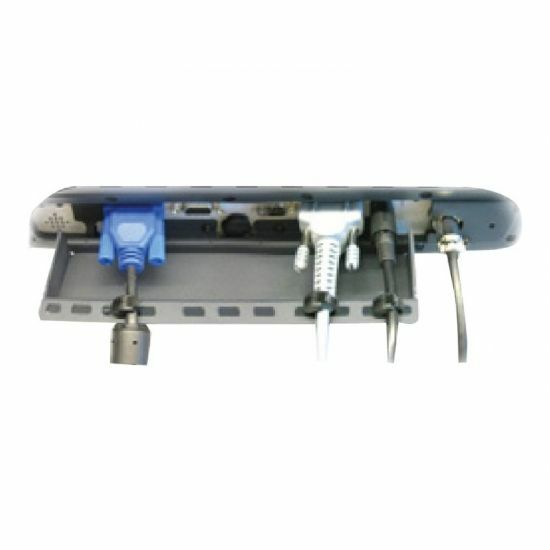 Cable retention kit contains two brackets and associated hardware. One bracket conceals the power switch and secures the power input cable. 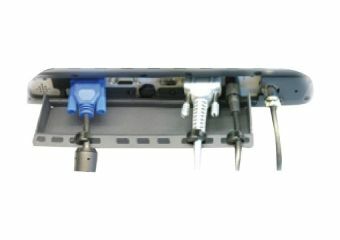 The second bracket provides cable-tie attach points to secure the PS/2, serial, Ethernet, USB, CANBUS, and audio cables.